Born on the Boulevards of Monaco, L’Orangerie Monte-Carlo is the first 100% Monegasque liqueur. Made from the bitter oranges that grow alongside our boulevards, this liqueur has an authentic taste that has already delighted many people in the region. Thanks to the work of a young Irish businessman, Philip Culazzo, creator of L’Orangerie Monte-Carlo an original and authentic liqueur is now being created. Long before tourismera, Formula 1 and Yacht show, Monaco was an agricultural land, farming fruits.Here in Monaco, there are still 600 trees which produce between 10 and 15 tons of fruit per year. It is used to make marmalade and orange wine. 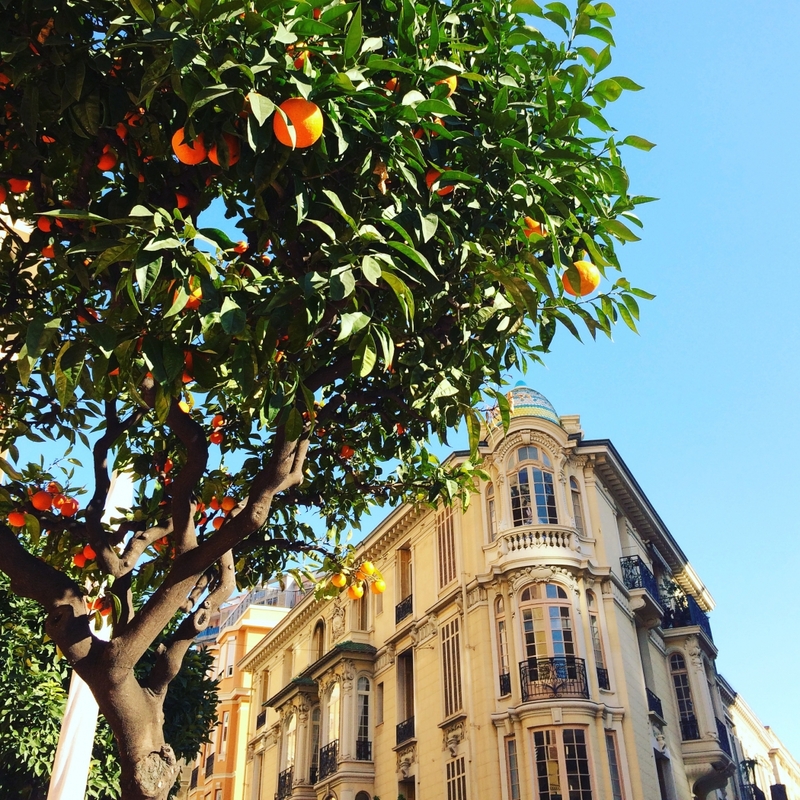 The harvest of oranges takes place once a year in Monaco during the month of February. The harvest lasts one month and following tradition is done completely by hand. About 400 kilos of fruit are picked per day, fruits which give the liqueur its particular and 100% Monegasque flavor. L’Orangerie Monte-Carlo don’t use chemicals or coloring, so it’s completely natural. The trees in Monaco are not treated with pesticides. They peel the oranges, and treat them with alcohol to extract all the aroma, all the essential oils which give the fruit’s flavor to the liqueur. Philip Culazzo has his secret recipe which gives the liqueur its allure and unique character. They peel the oranges by hand and use the peel to make the liqueur. And, with the juice, they ferment it in vats and distill it. So on one side they make the liqueur and on the other, they make spirits. Because harvesting the oranges is done at the beginning of the year, the peels are frozen so they can be used throughout the year. The orange liqueur is ready first, and then the orange spirit is ready later in the year. The difference between the liqueur and the spirits is that spirits need to be aged. After distillation, they need to be aged for at least 6 months before they can be consumed. So, in the second half of the year, they will be bottled. They have to let it rest so it can age well and they can have an excellent product. L’Orangerie Liqueur Monte-Carlo has already seduced numerous establishments around the Principality and beyond. Presented in George V and in other French institutions, countries like Japan and the United States are showing interest in the product.